Another brewing stand for coffee? I know, I’m getting a little tired of seeing them everywhere too, but they’re just so darn appealing. 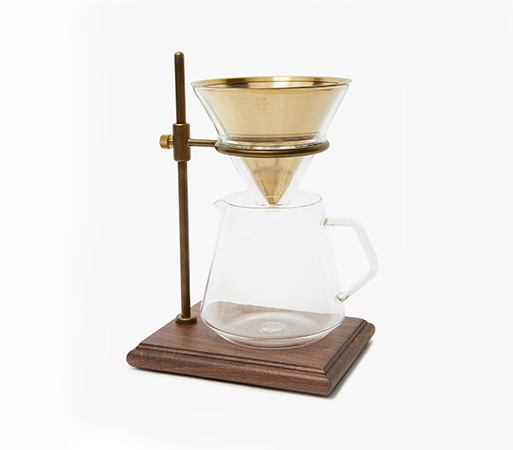 Kinto’s Brewer Stand set includes a heat-resistant glass holder, server, and brewer along with a stainless steel (with tin coating) filter and walnut stand. Would it be crazy to use it as a vase when not brewing coffee? Hmm. 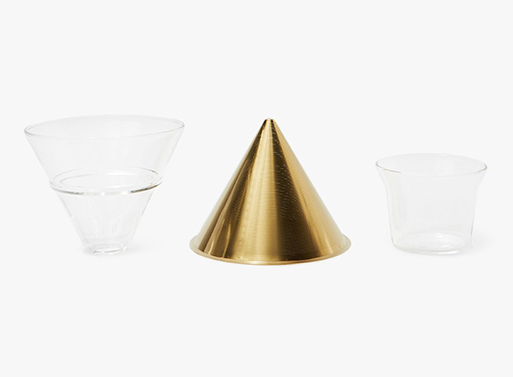 Holder, Server, and Brewer: Heat-resistant glass. Microwave and dishwasher safe. Filter: 18-8 stainless steel with tin coating. Dishwasher safe. Stand: Walnut with urethane coating, brass, 18-8 stainless steel and silicone. Available from Need Supply Co. , $188.00. Available from: Need Supply Co.